Arriving at the airport is the start to every traveler’s adventure. Airports are more full, security lines are longer, and let’s not forgot about the constant headache, and struggle of baggage claim. 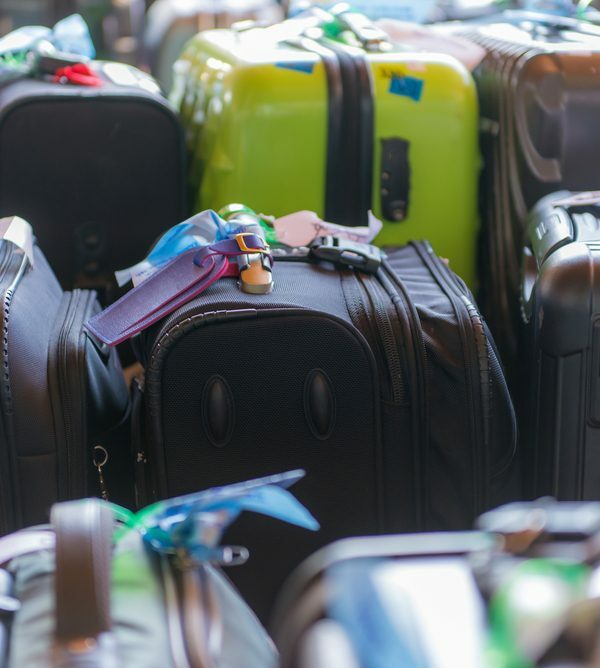 One of a traveler’s worst fears is having their luggage lost somewhere, or fear that they’ll miss their next flight because they are too busy waiting to find and pick up their bag. With millions of people and flights happening every day you can bet that majority of the people flying have similar dark or black rectangular suitcases. This is calling for a misplaced, stolen, or lost luggages. The solution to this problem is simple, custom printed luggages. Having a distinctive luggage can speed up the time you’ll spend at the airport, and can help prevent mix-ups during baggage claim. It can also make it easier to spot your bag on the never ending carousal of luggages, quickly and efficiently. You can now get your luggage customized with pictures. Pick out your favorite family vacation picture, logo, pet or friends. Any of these images can easily be printed onto your luggage, and you can be sure that no one will have the same one as you. If customizing your luggage with personal pictures isn’t for you, how about purchasing a luggage cover? A luggage cover is designed with stretchy and durable material that allows you to cover the entire luggage. This option is also a great way to identifying your luggage with ease and style. For those who are looking to stay within a budget, there are other simple and cheap methods to customize your luggage. Using colorful duct tape, ribbons, zip ties, or lanyards, are all excellent ways to set your bag apart from the rest. Wrap the brightly colored items around the handles of your luggage, this will make it hard to miss. Whether you’re flying business class, or on a private jet, avoid your luggage getting lost in a sea of standard designed luggages in the airport shuffle. Spice up your luggage the next time you choose Fly with Class with these customized tips! You will save yourself time, effort, and a lost bag!